THANK YOU TO THE BEL AIR FESTIVAL FOR THE ARTS!! 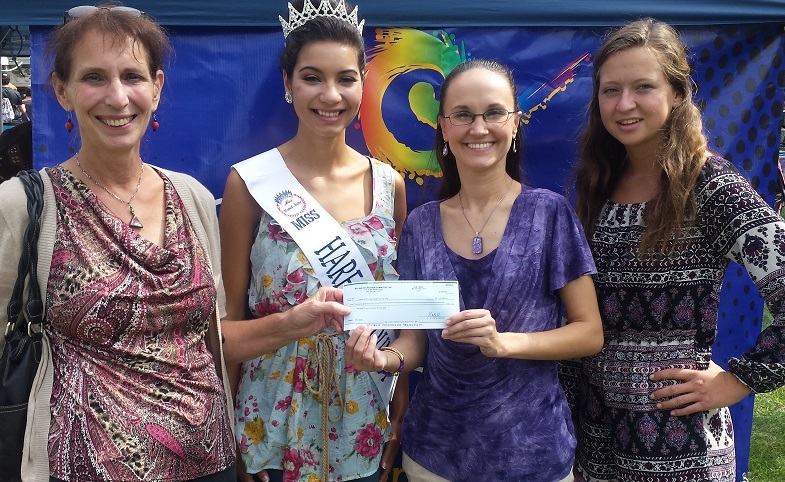 The Bel Air Festival for the Arts matched up to $5,000 of funds raised for the Center for the Arts! Thanks to the support of our community, we exceeded our goal with $15,609.50 raised! Donna Stufft from the Bel Air Festival for the Arts Committee presents the $5,000 Matching Grant check to Amanda Pugh, Manager of Marketing and Development at Center for the Arts. Also pictured: Center for the Arts Volunteers: Allison Redman "Miss Harford County 2016", and Savannah Hemling.